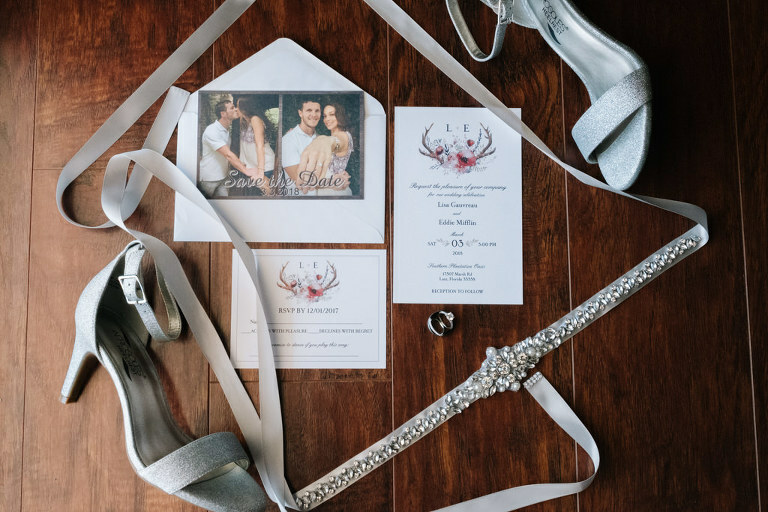 Lisa and Eddie’s rustic chic Tampa Bay wedding featured a lilac, gold and gray color palette that complemented their Southern inspired outdoor venue. 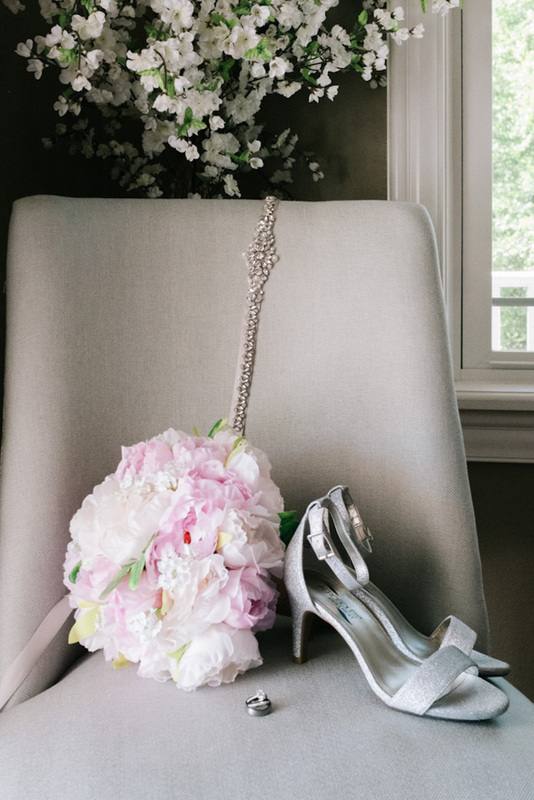 Focusing on a simplistic design and personalized details, the bride and groom made their day truly their own. The Virginia couple searched the Tampa Bay area for a private home that would make a great wedding venue and also be easily accessible for family in Orlando to attend. 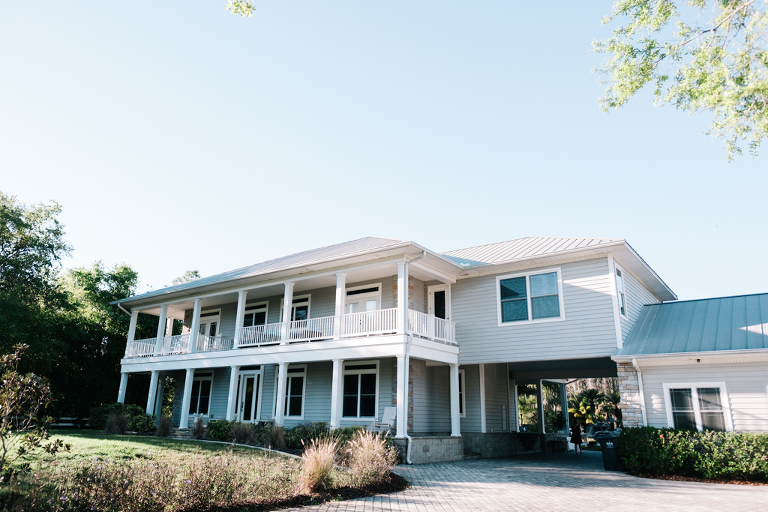 Looking for for a location where their closest friends and family could also stay on-site, Lisa and Eddie found it all at Southern Plantation Oasis. 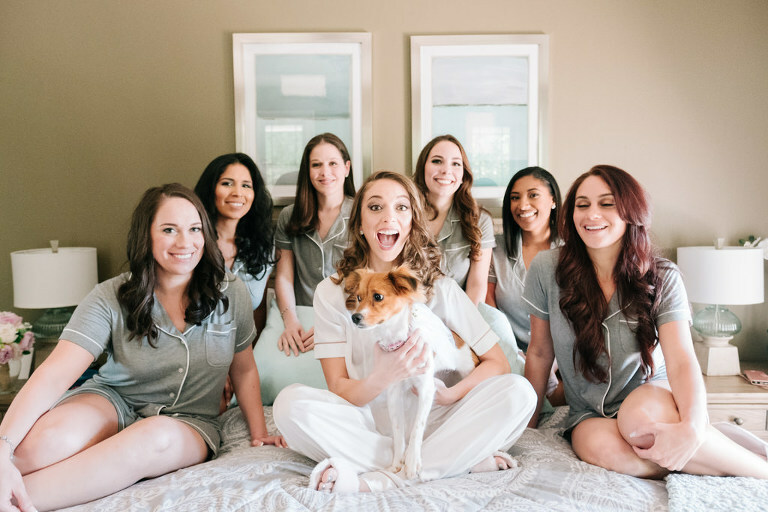 Looking back on their wedding day, the bride shared that one of her most cherished memories included a big surprise for their guests. “The most memorable moments were our first dance. We surprised everyone with the mambo. We also jumped into the pool at the end of the night! Yes, I changed first!” the bride reminisced. Even though Lisa has said her “I dos,” she’s still an avid reader of our site. Eddie grew up hunting so when we found the invite with both roses and deer antlers it was a perfect blend of both of our personalities! It paved the way for the rest of our little touches, including a gorgeous lilac flower arch complete with a set of antlers. Eddie is also very hands on and he actually made almost all of the items used in the wedding from the bouquets and centerpieces to the arch; he handmade it all! We wanted to rent a large house so that we could stay on the property with our closest family. It just made it so easy and was nice to have everyone there all the time. We wanted to majority of the décor to be nature with lots of grass, trees, and open space. Southern Plantation Oasis made all of that possible. It had everything we were looking for in a venue They also allowed us to use any vendors we desired. Jen was extremely communicative and provided clear answers for all of our many questions leading up to signing the contract and the big day. She was very flexible with us and our needs, and we appreciated that very much. The house and grounds are exactly as pictured. The house is very well kept and stocked and had every kitchen gadget you could think of! There was plenty of room for all of our guests and different activities that went on. The team is very organized and made our stay and wedding day stress-free! I highly recommend this venue for a family reunion weekend, graduation party, small event, and definitely a wedding! Our guests continue to rave about how beautiful the location was. We wanted the day to be special and beautiful, but we went the DIY route to put our special touch on everything, but also to save money for the bigger event, buying a house! Lilac, gold, and gray. Lilac is my favorite color! The biggest color scheme was the lilac from things like the bridesmaid dresses and napkins, but we had only small hints of gold and grey in things like our table number frames. No matter where you are located, make your wedding whatever you and your fiancé desire and don’t let others change your mind.